LASIK surgery is performed to produce clear vision in patients who suffer from nearsightedness, farsightedness, and astigmatism. While the procedure is extremely safe and has a high success rate, it can result in post-surgical complications. One potential risk of surgery is infection. LASIK, like all other types of surgery, is associated with a risk of infection. However, there are measures surgeons and patients can take to reduce the risk of infection. 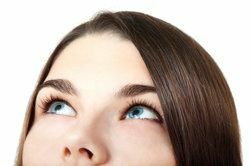 In this blog post, the team at Southwest Eye Care and Laser in Bakersfield review the symptoms of LASIK infections, explain how they can be prevented, and discuss how this complication can be treated. In most cases, LASIK infections develop within nine days of the surgical appointment. In more rare cases, the infection may develop as long as eight weeks after surgery. No matter how long it has been since your LASIK surgery date, it is always important to schedule an appointment with an eye doctor when signs of an eye infection present themselves. How Are LASIK Eye infections Caused? At Southwest Eye Care and Laser, we make every effort to reduce the risk of surgical infection. Our tools and facility are sterilized according medical standards of cleanliness, and the surgery is performed in a safe and efficient manner. In addition, we provide patients with anti-bacterial and anti-inflammatory eye drops, as well as post-surgical instructions. Patients should contact their LASIK surgeon at the first sign of an eye infection. Your surgeon will schedule an emergency appointment so the problem can be immediately diagnosed and treated. Delayed treatment of an infection can result in more serious complications. Eye infections after LASIK are treated with antibiotic therapy. Patients may be prescribed antibiotics in the pill or topical form. In cases of severe infections, antibiotics may be administered via an IV. To learn more about how you can reduce your risk of acquiring an eye infection after LASIK, and to schedule a consultation, contact Southwest Eye Care and Laser.